Handmade tonfa made of hard wood, processed with impregnation wood preservative and insecticide varnish, that doesn't not leave a film onto the wood. As a result, the wood is free for moving without cracks and pealing and it doesn't stick on the hands and has a velvet touch. 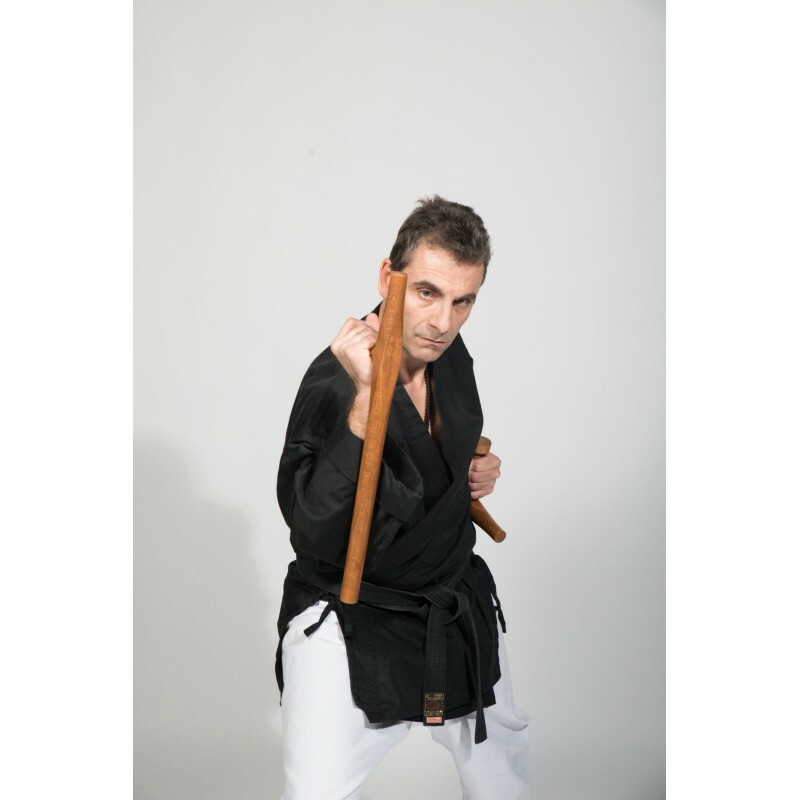 Tonfa can be made of beech, oak or Greek walnut. 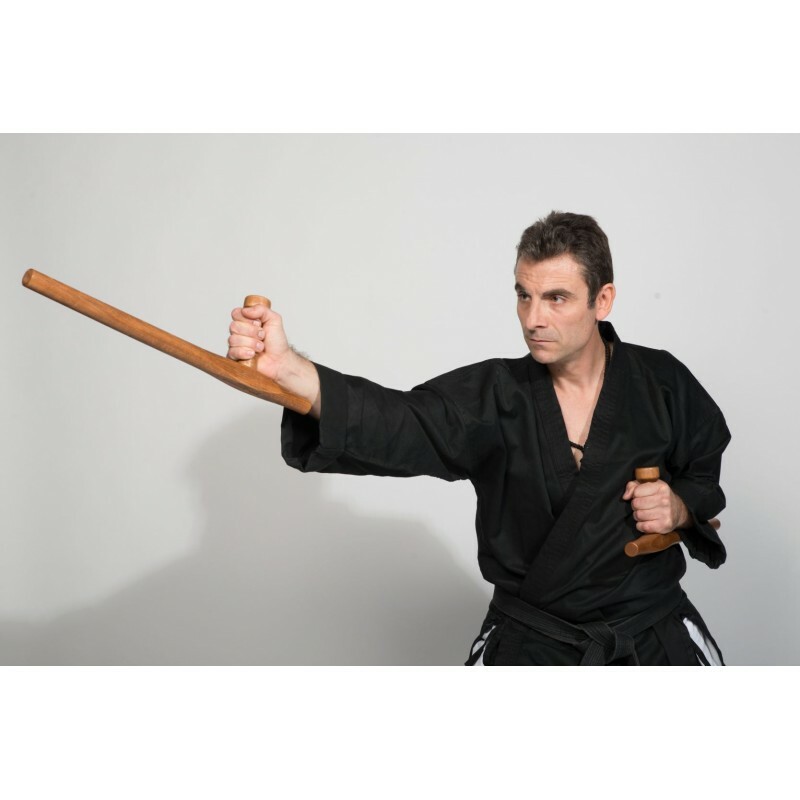 The tonfa may have originated as the handle of a millstone used for grinding grain. The weapon can be used to block, punch or strike. 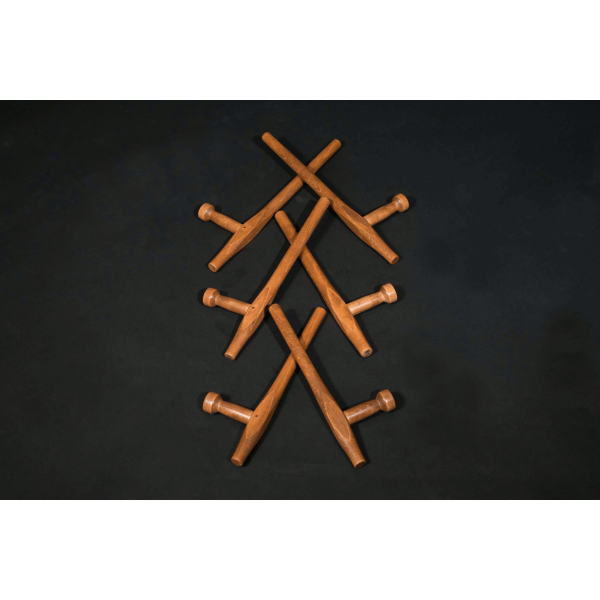 It is excellent for strengthening the practitioner’s wrists, forearms and grip. It is a very difficult weapon to control and used efficiently. 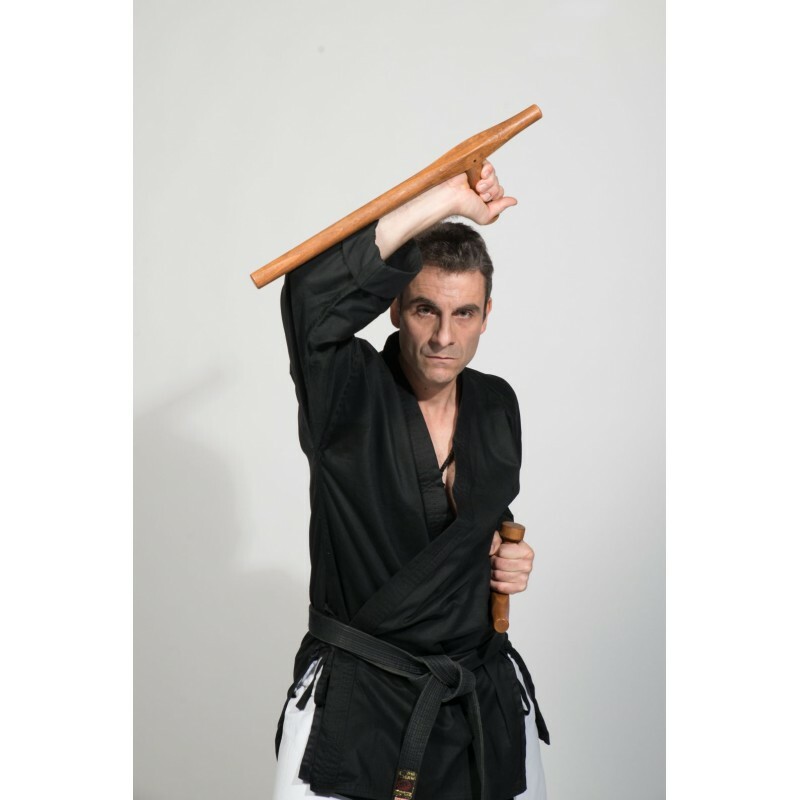 The Tonfa (more commonly known) can be pronounced many ways, such as “tunfa” and “Tunkua”. According to old Okinawan documents, Tuifa seems to have been the right name. CASES AND BAG Cases for all weapons and big bag made to store all weapons (except bo, nunti..